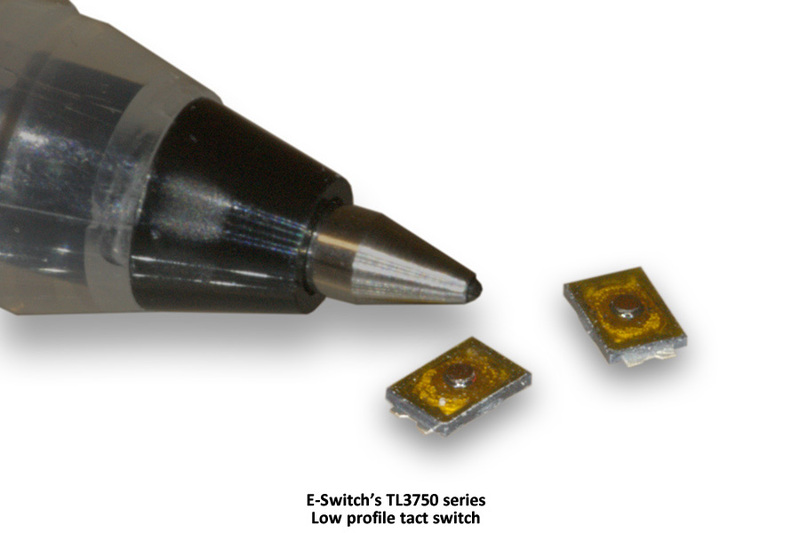 The applications and markets for the switch include the ever-growing wearable technology market, medical equipment, audio/visual, computer peripherals, consumer electronics, telecommunications, instrumentation and more. Dielectric Strength: 100VAC for 1 min. About E-Switch. E-Switch offers one of the broadest switch lines available today. The company has been delivering innovative and quality switches to the electronics, telecom, high tech, medical, instrumentation, industrial, audio/visual, appliance, and consumer markets since 1979. Headquartered in Minneapolis, Minnesota, with offices in Singapore and Hong Kong, E-Switch’s global reach extends to Europe, Asia, and Latin America. Products include Tact, Pushbutton, Rocker, Toggle, Slide, DIP, Rotary, Keylock, Snap Action, Power, Illuminated Switches and more. E-Switch has local reps, engineers, and account managers on hand to provide specifying assistance and quick response to 3D drawing requests and other inquiries, along with a top-notch sample program that allows engineers to examine and qualify switches for end product applications. E-Switch’s online catalog includes complete specifications, drawings and schematics. Product modifications and customization expertise are available for many of the offered switches.